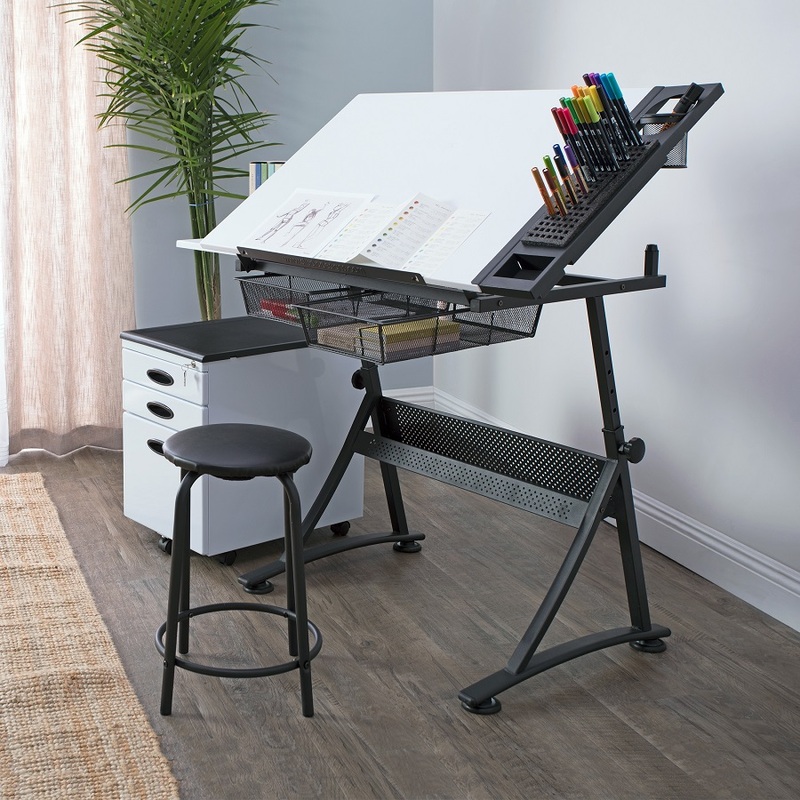 The Fusion Craft Center by Studio Designs offers many storage options as well as a bonus slide-out shelf for keeping supplies flat while the top is angled. 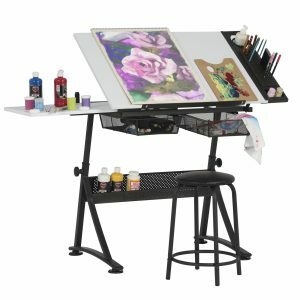 It combines many of our top features together to create a table that will soon be a new favorite among artists. 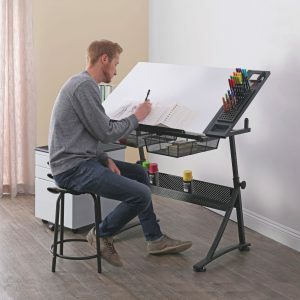 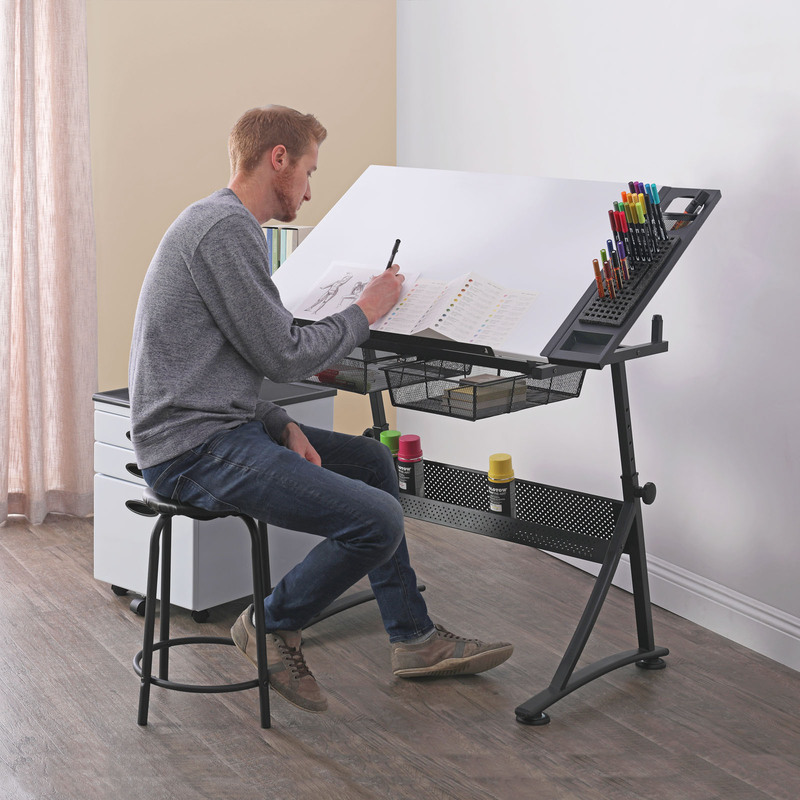 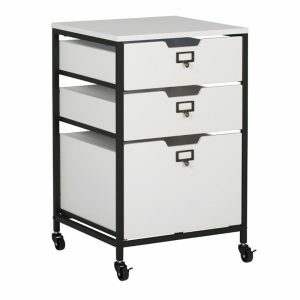 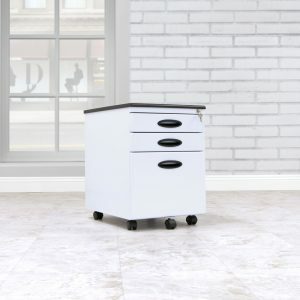 The Fusion Table features: an angle adjustable top (35.25” Wide x 23.75” Deep), a 24” pencil ledge, wide floor levelers for stability and is made of powder coated metal for durability. 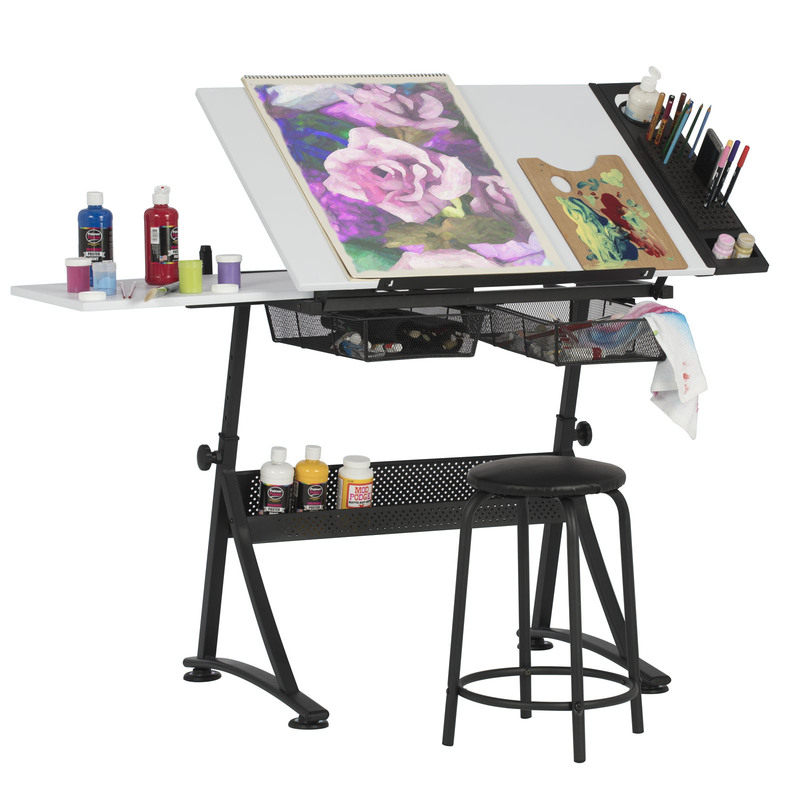 The 24” Premier Metal Art Tray (Also sold separately-Item # 12167) attaches to the side of the table top. 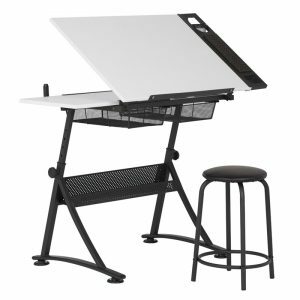 It has a tool cup, a large 12”x 4” opening that accommodates the Flexible Foam Pencil Organizer (Also Sold Separately- Item # 12174). This Foam Organizer Tray has 96-10mm holes for pencils or markers and a cell phone slot to keep your phone clean and close during your projects. 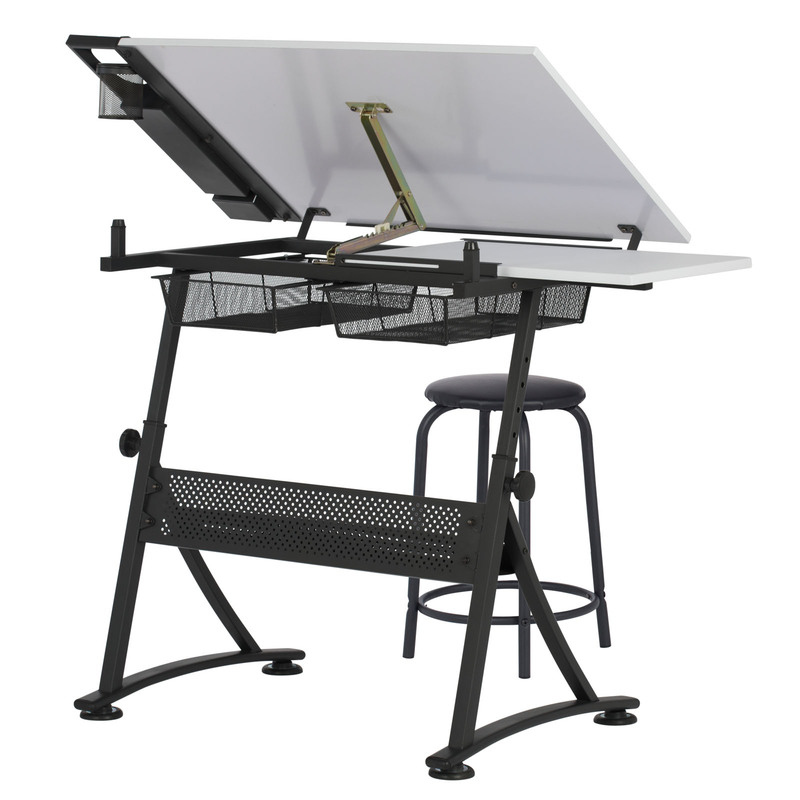 Two removable wire mesh baskets (8.5” x 16”) under the tabletop slide out for access to even more supplies. 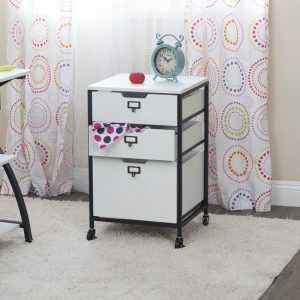 Finally, there is a bottom storage shelf between the legs that is 29” wide and 5” deep providing even more storage. You can customize the height of the desktop by 1.5” increments from 27.75” to 35.5”. 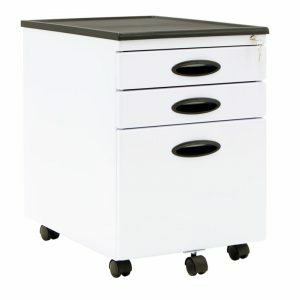 A 21” high padded stool with powder coated metal legs completes this premier set. 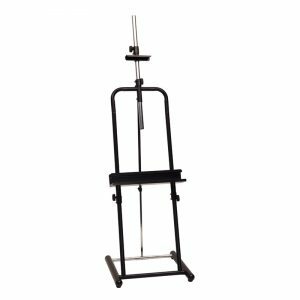 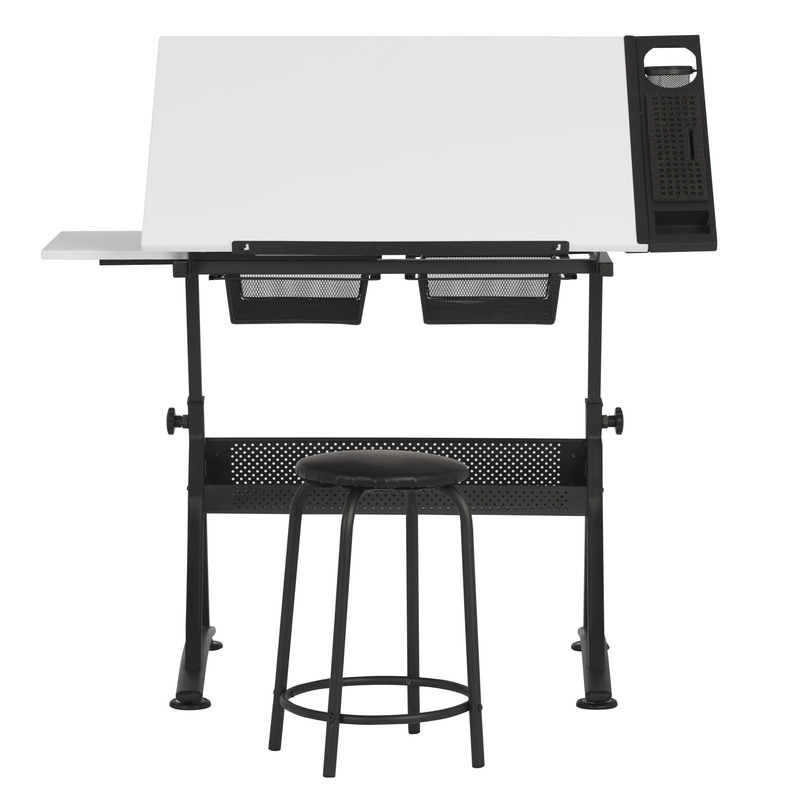 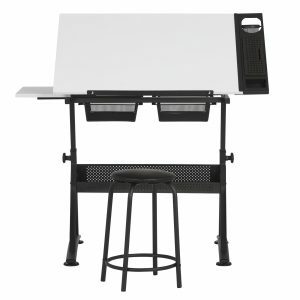 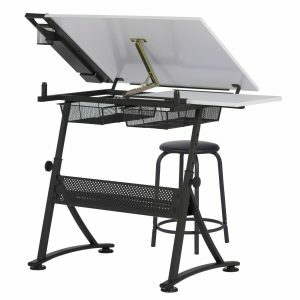 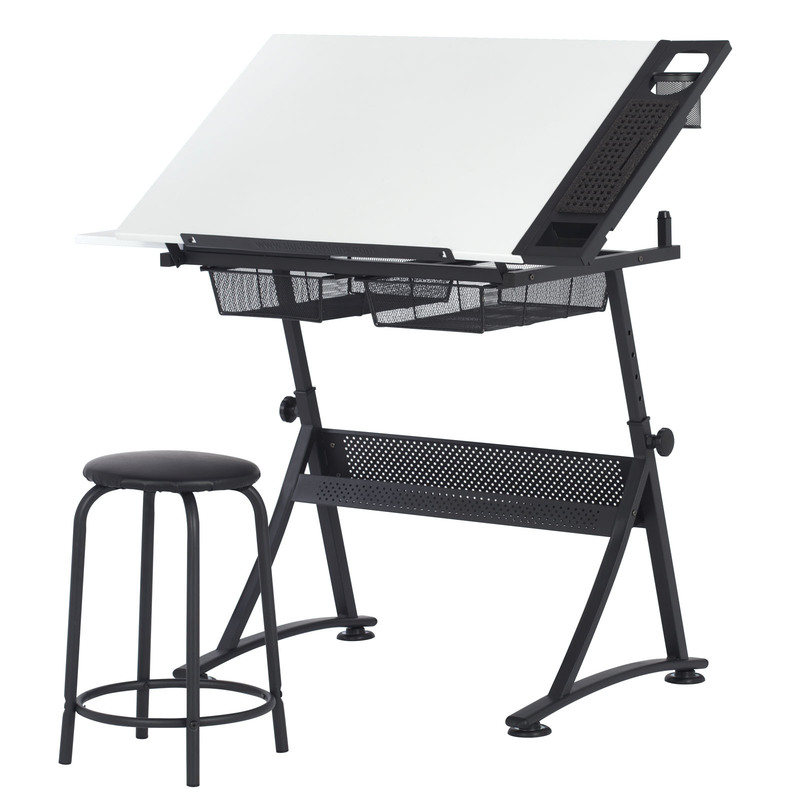 Height Adjustable from 27.75" – 35.5"